Directly inspired by the famous pocket watch from 1889, La Esmeralda Tourbillon is now available in white gold. 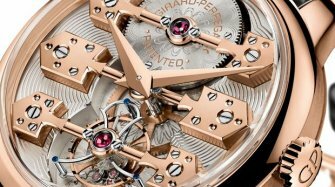 In 2016, to celebrate its 225th anniversary, Girard-Perregaux presented the pink gold Esmeralda Tourbillon, a wristwatch inspired by the Tourbillon with Three Gold Bridges pocket chronometer that won the gold medal at the Universal Exhibition in Paris in 1889. 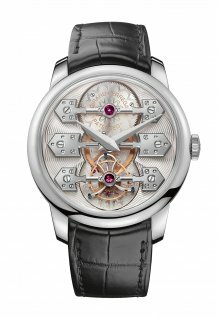 Winner of the Tourbillon Watch Prize awarded by the Grand Prix d’Horlogerie de Genève 2016, La Esmeralda Tourbillon features a timeless design, a unique signature of its kind, and a more contemporary look. 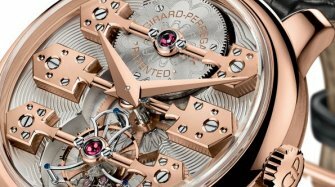 With its inimitable and unequalled design, the Tourbillon with Three Bridges calibre is the oldest watch movement still in production, since its general structure has remained unchanged since 1860. 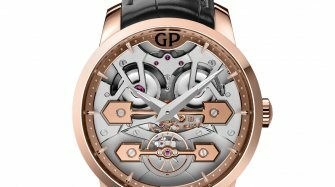 In a clever blend of aesthetic, technical and symbolic principles, the mainplate is fitted with solid gold bridges, barrel, gear train and tourbillon. Their double arrow-shaped designs are entirely hand-decorated and are inspired by the bridges of the historic Esmeralda. The surface of the arrows is mirror-polished, the edges are hand-bevelled and the sides are straight-grained. To increase visual contrast and better catch the light, the bridge arms are carefully rounded by hand using a burnisher. 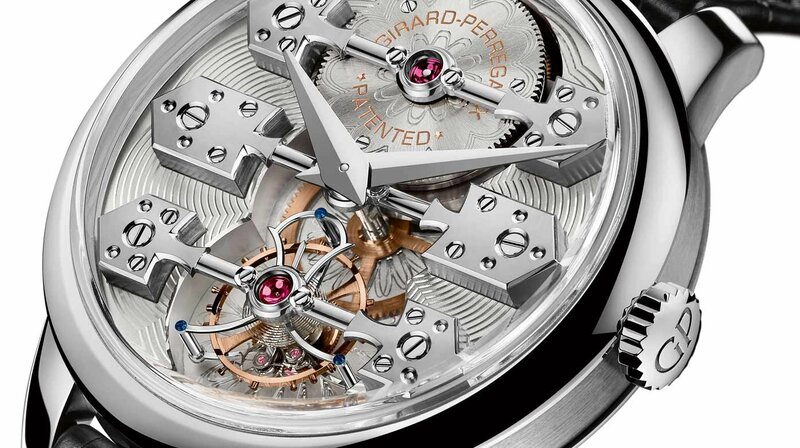 In their centre, the diamond-polished chatons, held in place by two screws, require the barrel, the centre wheel and the tourbillon carriage to be aligned on the same plane. The 80-component carriage is entirely hand-finished. With its characteristic lyre shape representing the signature of the Manufacture, this perfectly balanced organ houses a balance wheel with a high moment of inertia oscillating at 21,600 vibrations per hour (3Hz). 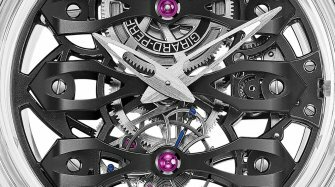 This 16-ligne calibre (36.60 mm in diameter) measuring 8.41 mm thick requires one month's work to assemble its 310 components. 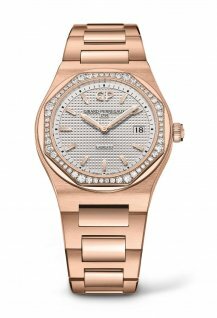 In the same vein, the unidirectional automatic winding system uses a micro-rotor concentrically placed beneath the barrel and no longer around its rim. 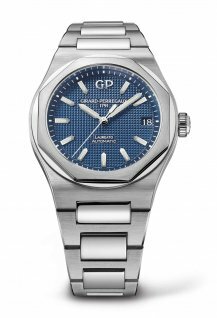 Thanks to this construction, watchmakers were able to increase the diameter of the barrel drum and thus lengthen the spring so as to guarantee a power reserve of at least 60 hours. The new La Esmeralda Tourbillon in white gold is worn on a hand-sewn black alligator leather strap secured with a white gold triple folding clasp.